hello & thanks for being here! My name is Kate Thompson and I’m been photographing weddings since 2011. I live in Virginia with my left-brained other half, Nick and our little gal, Helen. Photography is how I take a stab at making sense of the world. I haven’t found any answers but damn if I’m not wild about the process. 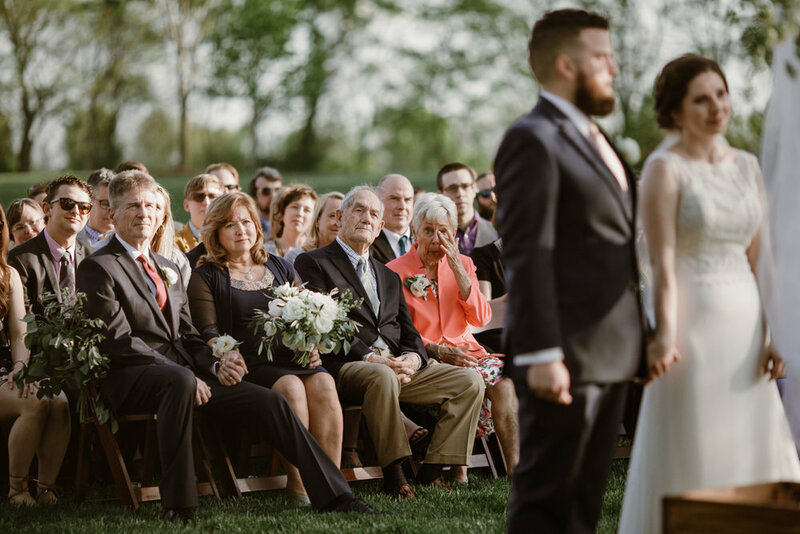 People tell me I’m a calming presence on wedding day - a “stealthy photo ninja” if you will. On the inside I feel like daydreaming fool with a curiosity about the layers of human expression and a hunger to make playful but meaningful photos - for you. I let intuition guide me and am pulled to the moments and beautiful imperfections that punctuate your wedding day. I'll capture swirls of chaos, quiet subtleties, and everything in between. I'm an observant fly on the wall but am prepared at any moment to jump in and be a decisive, calming presence without needing to be asked. The best I can hope for is that you end up with a visual narrative for your family to enjoy for years to come and that your photos are the perfect cocktail of my values/creative risks and your important memories. When I'm not traveling to photograph weddings and families (which is much of the time) I co-run a small creative studio with my sister Anna called Palindrome Creative Co. I also co-founded a retreat for photographers called The Family Narrative that is held annually in both New Orleans and Australia. My work has been published in The New York Times, Garden & Gun, Travel + Leisure, The Local Palate, Into Quarterly, Thomas Keller's Finesse Magazine, and Food + Wine. When I'm not working, you can find me cooking, hiking, practicing yoga, reading, or tending to my beehives. [ If you're curious, Betty Clicker is a nickname I was given as a child. Life is about relationships. Listening to my clients is essential to my creative process and allows me to make honest photographs that connect our visions, match personality to portraiture, and establish trust. I strive to make photographs that broaden our emotional repertoire, encourage nostalgia, and show the importance of slowing down and being present. I'm inspired by the art that exists in genuine moments of connection between people and their environment and enjoy working with couples who are not afraid to trust me. I do my best work when I am given the creative space to be myself. Since I will be with you during every tear, knowing look, and moment of vulnerability, sometimes I'll feel like a friend. At other times I might seem like a fly on the wall.. or a guest. My best wedding photographs have come from pure moments of spontaneity - not from a shot list or strict schedule. 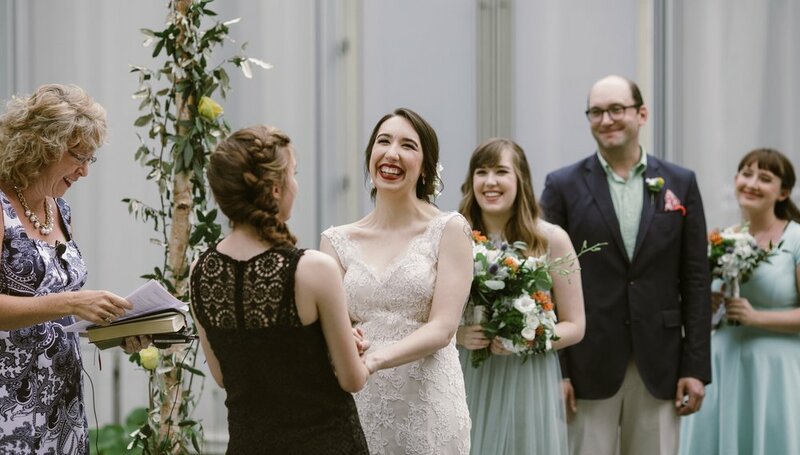 Couples who trust and give me free reign to document their celebration are the couples whose photos take you right back to what it felt like to be there at the wedding. This could be the only time in your life that you hire a photographer to document your life. Hopefully not, but it’s very possible. I know first-hand how uncomfortable it is to be the center of attention. I've got a bunch of tricks in my pocket to help you relax because I know how intense it all can feel. I'm a feminist who does not care much for traditional gender roles. Inclusivity is very important to me. I have photographed about 100 weddings and will be a resource to you during planning to help make the most of our time together. I shoot a roll of film at most weddings as a creative exercise. For more reviews, please Google search "Betty Clicker Photography" and peruse my business reviews page. Will you travel to photograph our wedding? A resounding YES. About half of the weddings I photograph are outside of Virginia. I love to travel and have been fortunate enough to document weddings in India, Spain, the Caribbean, and all over the USA. 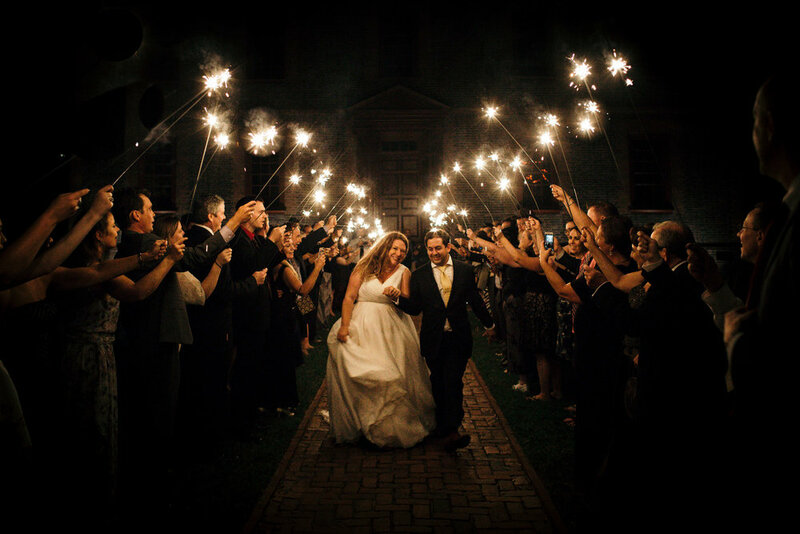 Weddings within 100 miles of Richmond, Virginia require no travel fees. A flat, no-fuss rate of $300 is applied to weddings outside that radius regardless of whether it requires a car trip or plane ride. Weddings outside the U.S. have a flat $500 travel fee. A retainer fee of 50% and signed contract with is required to book me as your photographer. After that, we'll start collaborating on timeline and structuring your day around the most ideal lighting situations for photography. The remaining balance is due any time on or before your wedding date. You will receive a link to an online gallery with hi-res digital downloads 4-6 weeks after your wedding. The majority of my office time is spent on color correcting and post processing, so you can be sure that the utmost care is taken with each image and that you'll have a cohesive set of images that tell the story of your celebration. Do we have rights to the files? You will have full printing rights to your photographs! If you choose to share photos online (which I encourage... just no cropping or re-editing please) please remember to credit Kate Thompson and/or Betty Clicker Photography. YES! And I encourage each and every one of my clients to print their wedding photos. Make the most of your investment by printing your photos rather than letting them sit and collect dust on a hard drive! If you don't order an album with your initial wedding package, you'll receive a PDF with album and print pricing with your wedding photo delivery. Our studio offers custom-designed albums by a professional graphic designer and prints on gallery-quality paper with archival inks. Thank you so much for your interest in learning more! For wedding or elopement photography inquiries, please fill out the form below. my commercial/editorial work or family photography business. Thank you! I'll be in touch within a few days! Me and my main gal, Helen. I am one of three women who founded and organize an annual retreat in New Orleans for experienced family photographers that annually brings together the best and the brightest in the industry. 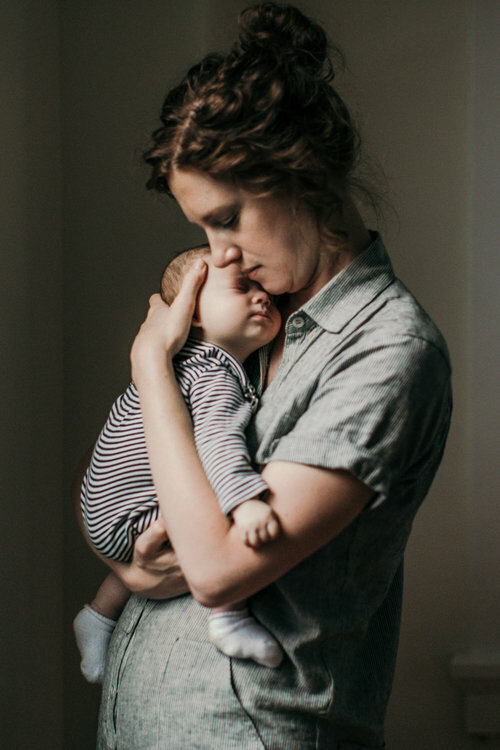 The Family Narrative was an idea born out of wanting to inspire and create community with other family photographers, and create a workshop that we'd want to attend ourselves as seasoned photographers. Our 4-day workshop is hosted annually in New Orleans. Our goal is to offer established photographers a place to commune with their peers, push through burnout, learn from each other and leave feeling inspired and invigorated. Palindrome Creative Co. is a boutique branding studio based in Richmond, VA that began as a collaboration between me + my sister Anna. With shared sensibilities and backgrounds in graphic design, publishing and photography, our studio aims to empower clients with a visual vocabulary needed to enhance their narrative. We rely on an intuitive aesthetic and a penchant for nostalgia to design compelling visuals that bring ideas to life. Our studio is positioned as a one-stop shop for businesses looking for branding and cohesive visuals with services including logo/graphics, interior design, and photography.